He has always been a great animal lover and has shared his life with dogs since the first years of his life. Being just a Kid his parents gave him his first pedigree dog, a Teckel Estandar with short hair, followed by other dogs, such as a Pastor de Picardie, Dobermann, San Bernardo and Pastor Aleman. 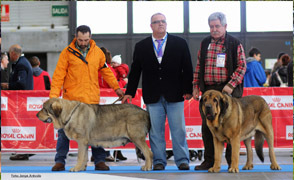 His first approach to the official world of dogs is in the end of the 80th with the breed Pastor Aleman. At the same time he also funds and manages a non-profit dog training club, Project in which he was involved by some years and left when he was ever more occupied by the breeding and exhibition of his dogs in dog shows. In 1990 he begins his work with the breed Fila Brasilero and just after he achieves his affix EL SILEDIN, with which he has breed until now 3complete alphabets of this breed. His dogs achieved 145 titles in championships, including 8 World championships, 8 Europe championships, American championships, and so on. His filas brasileiros are spread in lots of countries in several continents and dogs with his affix have been and are the bases of several actual dog breeders. He was the first one in the breeding in Europe the Terrier brasileiro breed, even before it´s official recognition by FCI, and breed some litters of these terrier in the early 90ths, and he achieved to breed the first Spain champion of this breed. He has also been a small breeder and exhibitor of Pugs and, without breeding them, he owned French Bulldog, Ratonero bodeguero andaluz, Jack Russell Terrier and Deuch jagdterrier. 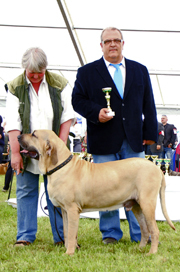 Since 2011, he begins with the breed Spanish Mastiff. He has been columnist in several Spanish canine magazines. Actually he is member of the Real Sociedad Canina Central, Sociedad Canina de Murcia, Club Español de Molossos de Arena, Club Español del Ca de Bou and Asociacion Española del Perro Mastin Español. 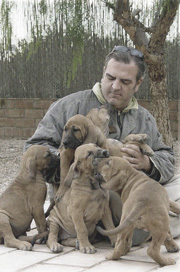 Since 1992 until 2012 he has been part of the Sociedad Canina de Murcia´s board and, in several phases, he has also been a member of the board of the Club Español de Molossos de Arena, actually he is the president of this club. 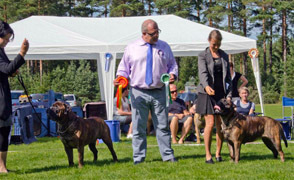 He achieved his first judge licence in 1994, he started this year judging Open Shows. 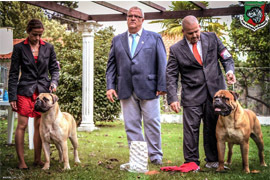 Actually he is an international judge of several molosser breed’s and Pug, judging several monographic and international dog shows, ever in Spain or other countries.